ADV knows all the secret paths to adventure! 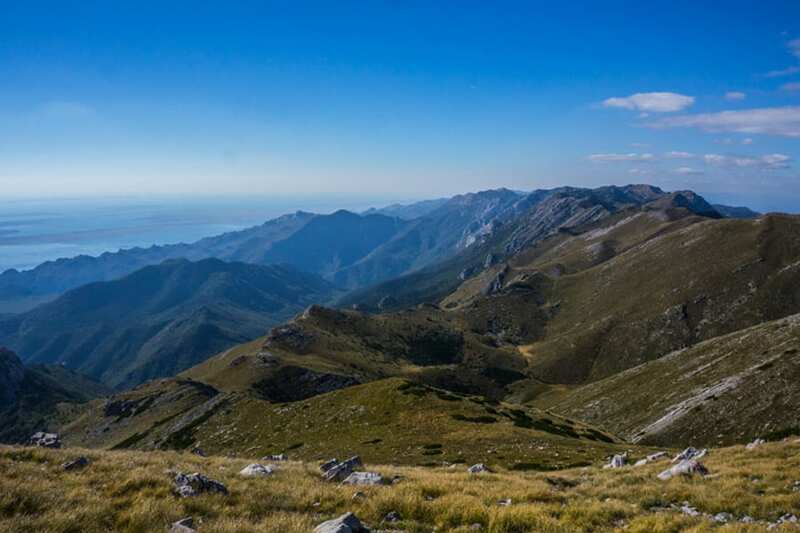 This time we take you to the most imposing and the most beloved of all the Velebit peaks - Sveto Brdo. And we know how to do it in a single day! 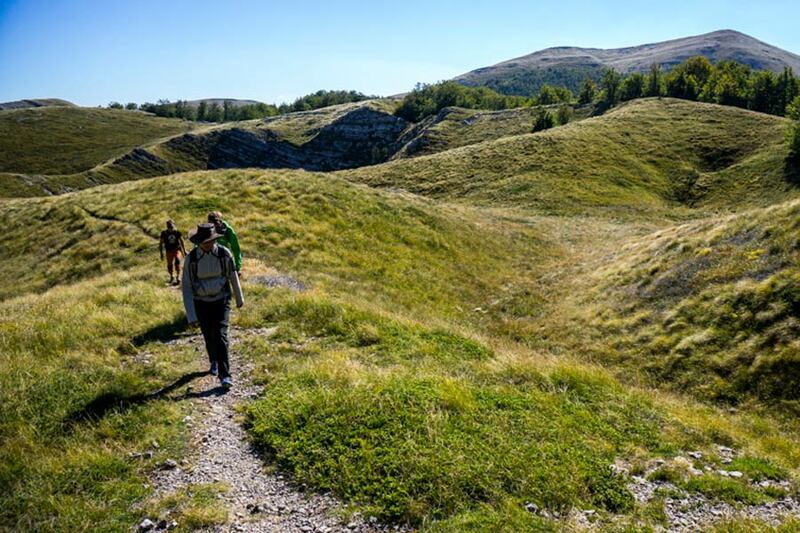 The shortest path to reach the real summit of mountain Velebit - Sveto Brdo (the Holy Hill). Beautiful day tour through diverse and really spectacular scenery. To any true admirer of the Velebit mountain range, Sveto Brdo (Holy Hill) is it's real peak. Facts ofcourse tell us different. 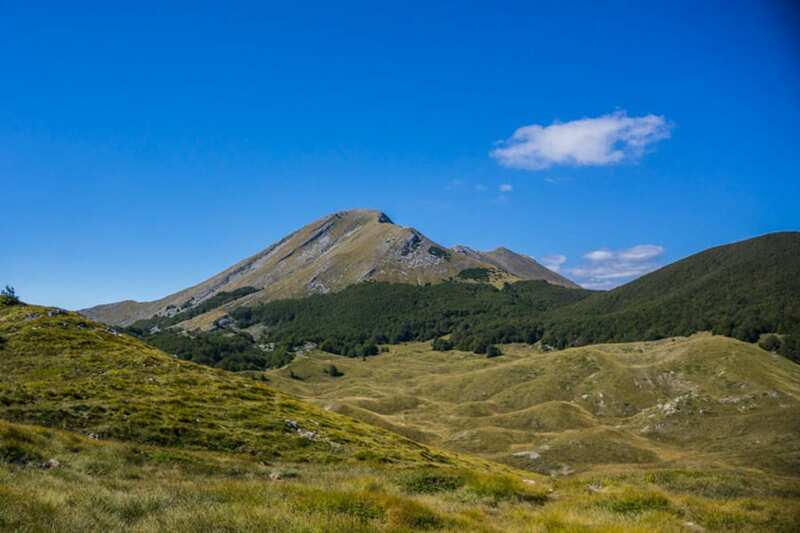 The real peak is Vaganski vrh (1757m) and Sveto Brdo (1751m) is the second one. But, it's only six meters and the feel those two peeks give you are totally different stories. 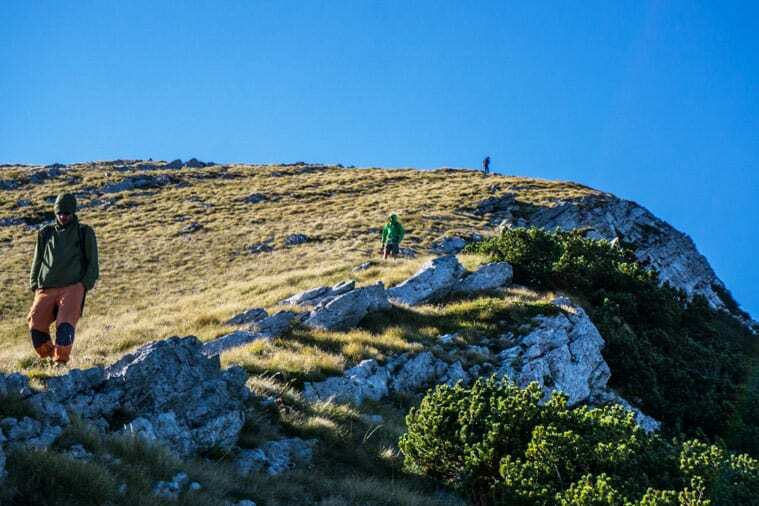 While Vaganski vrh is a huge platform giving you poor feel of the mountain peak, Sveto Brdo is a giant pyramid jutting out from the rest of the landscape. And the feel is tremendous! Mountaineers don't usually do it in a one day hike. But, if they for any reason deicide to do so, they must approach it with a vehicle. This route starts from a closest point you can get to Sv. Brdo with a car. 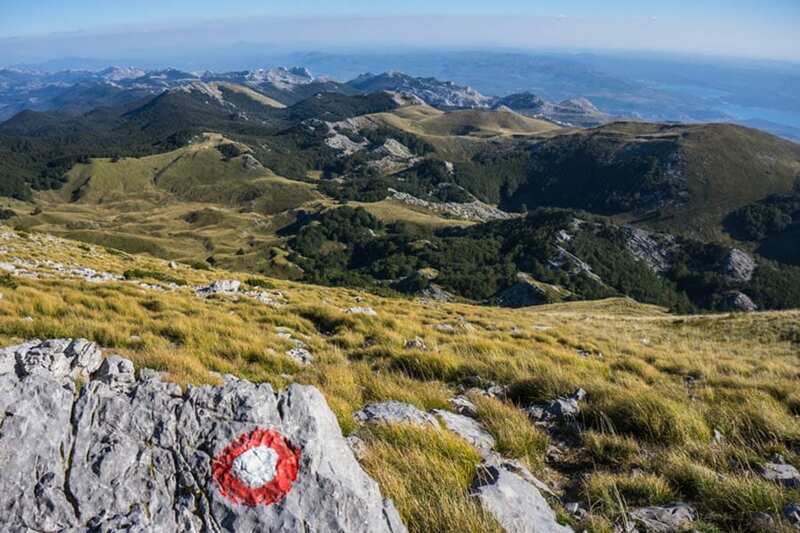 From this point, it takes you just two hours hike to reach the true highest peak of Velebit. What Can I Expect On This Tour? Pick up is flexible. We can pick you up at Zadar, Rtina Miočić or Starigrad Paklenica depending on the group's best interest. By special request, we can also pick you up at your accomodation. We then drive straight into the heart of a mountain following the country road, passing some breathtaking landscape like Tulove Grede on our way. We park a vehicle at the end of the country road (Dušice), deep in the woods and continue on foot. At the beginning, the hike is really easy, following a well marked path in the shade of a beautiful forrest. In about 20 minutes we exit the woods and suddenly appear at the broad plateau from which the Sveto Brdorises high in all it's magnificence. The path continues across the wide open meadows where sunlight and clouds play their picturesque game over the fields of grass. 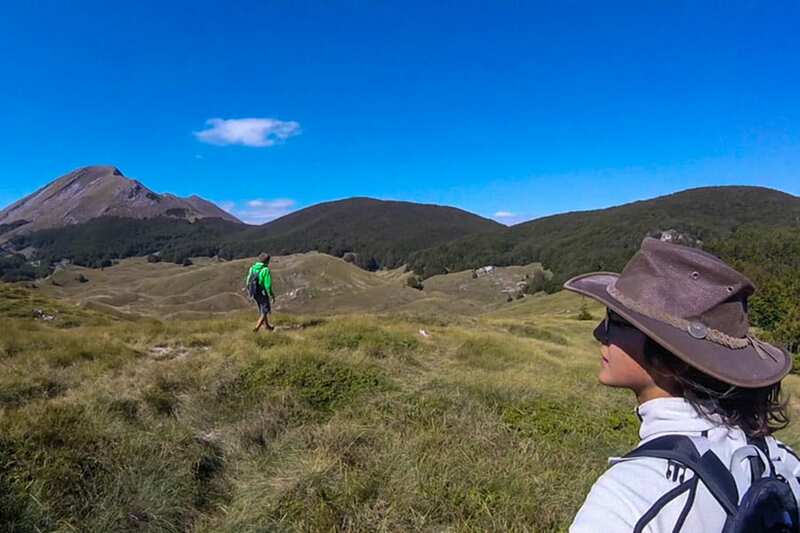 The hike is still very easy and enjoyable, but once we find ourselves at the very base of the Sveto Brdo, the only way to get to the top is a hard-core way. Ascent is steep and constant. Takes out every aerobic atom of your energy. But, the ambient is so much out-of-this-world that it definetely makes up for all the effort. Duration of ascent is tricky to foretell because it depends on the weather conditions and your own physical and psychological competence. We are in no hurry, though, the days are longer, we have just enough of daylight left to take as many rests as you feel like. In continuous hike, it takes no longer then 45 minutes to get up there. Once at the top, all your troubles are left down there somewhere, where your ordinary life still residues. Up here, your conversation with God takes place. It's hard to be at the place like this and not to be overwhelmed by the greatness and spirituality of surroundings. The name of the place – the Holy Hill – now becomes logical. Most accidents in the mountains happen on a way down. People tend to relax after all the effort is gone, proud of their achievements, in their minds they are already somewhere safe and cozy. But, while descending it's even easier to injure, make a wrong step, slip down, exhaust your knees or ankles. So, please follow the instructions from your guide and stay focused till you get back to the vehicle. Back in a van. You can relax now. Enjoy your ride. By your special request, sunset detour hike around Tulove Grede is optional.